. 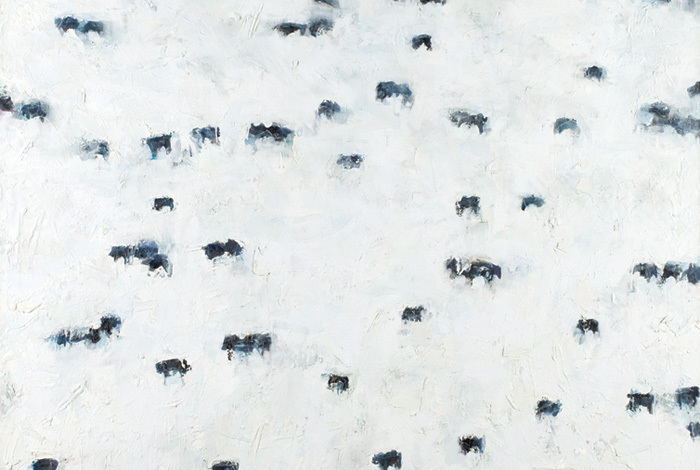 This piece looks like cattle or Buffallo in a field. What do you see?